Call in # (917) 388-4520 and then press 1 if you want to ask a question. Our guests tonight are veterinarians Judy Batker (Board member), and Julia Wilson(co-founder and Pres.) of Equitarian Initiative, a non-profit organization with a mission to provide veterinary care for hard-working horses, donkeys and mules in poor, rural, developing nations. They also provide education to caretakers about health and nutrition. 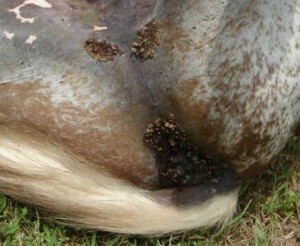 Lameness, hoof care, ticks, respiratory illnesses, sores and lack of nutrition are some of the issues for working equids around the world. Judy Batker, DVM, recently went to Haiti, where she goes once or twice a year, to provide veterinary care to donkeys and horses. Judy also travels to Pine Ridge Reservation in South Dakota each summer to work with members of the Lakota tribe. Judy owns a veterinary practice in Wisconsin. 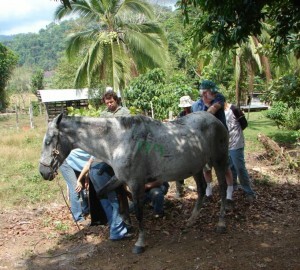 Julie Wilson, DVM, organized and led the 2012 Equitarian Project in Honduras in partnership with World Horse Welfare, and served 2 years with Veterinarians Without Borders, 6 years as a director of Heifer International and 3 years as a director of the American Association of Equine Practitioners. She and her husband Tracy Turner, a veterinary surgeon, live in Stillwater, Minnesota.